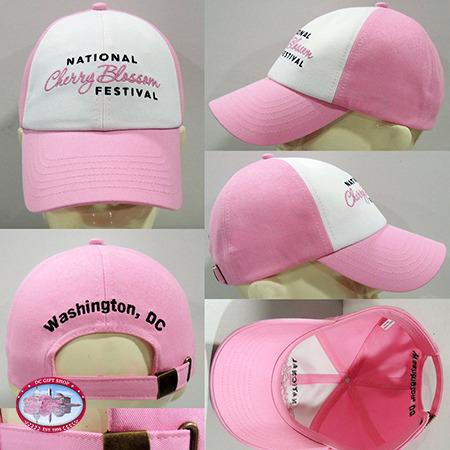 Bright white & Pink baseball-style cap with "National Cherry Blossom Festival" embroidered on the front: "National" and "Festival" are embroidered in black, and "Cherry Blossom" is embroidered in a fine, cursive pink. All cotton hat with stitching and highlights and a Cherry Blossom bloom embroidered onto the left quarter of the hat and also on the brim. 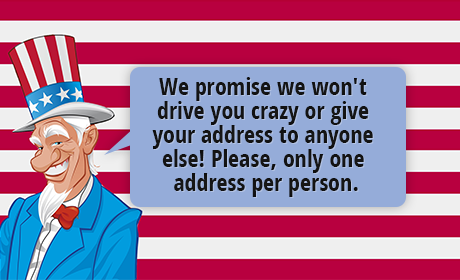 A good looking cap for sure!